Shaq's new show called "Shaq's Big Challenge" kicked off on Tuesday evening. I must admit I didn't tune in. Perhaps I will next week. Make the commitment to make some changes in your life. Don't be a slacker — get your workouts here. See how you stack up — your instructions and scorecard. Don't put garbage in your mouth! Get your fast-food fixes and candy cures here. All the Challenge logs, scorecards, and worksheets you need to join Shaq's team. Shaq's quote for the week, "Today is the day your dreams start." 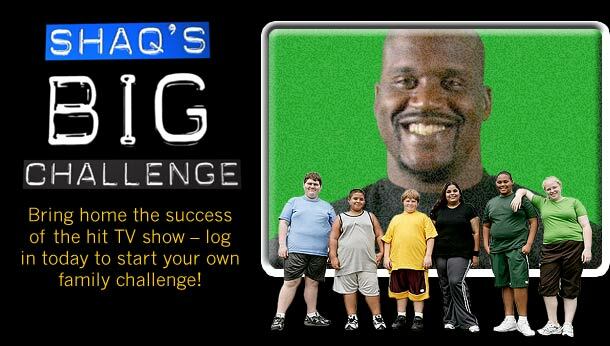 It's worth a checking out.............Shaq's Big Challenge Website.